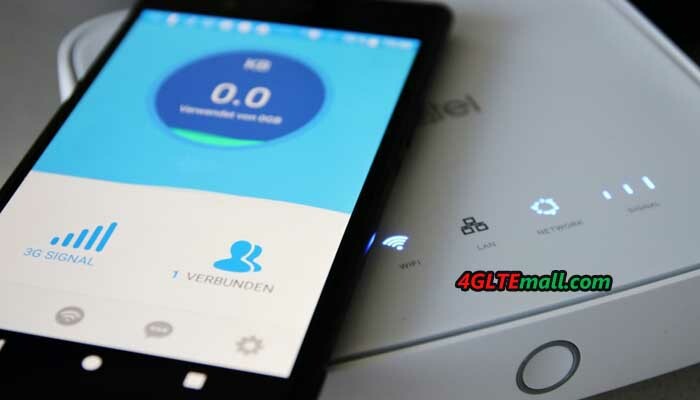 Since more and more 4G Mobile WiFi Hotspots are with Ethernet ports, the network equipment supplier Alcatel also presented a new 4G Mobile Hotspot with Ethernet port. The model number is Alcatel Linkhub HH40. It was available for some network providers in Europe, such as A1 Austria and re-named it as “A1 Net Cube 2”, which is following the first generation A1 Net Cube Plus B528. For carrier congstar in Germany, it got a new name as “Homespot WLAN Router“. Then what the new WLAN router could bring to us, let’s have a check the Alcatel linkhub HH40 Specifications and features. 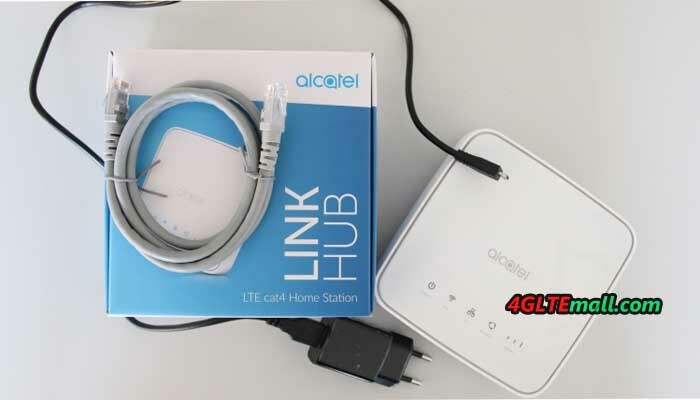 Alcatel Linkhub HH40 could support LTE category 4, which means it could achieve maximum 150 Mbit/s in the download and up to 50 Mbit/s in the upload. For most applications, this speed should be enough, but in fact, this router is even closer to the data highway in reality. Neither the LAN port nor the WLAN interface of the Alcatel Linkhub HH40 actually provides the 150 Mbit/s. 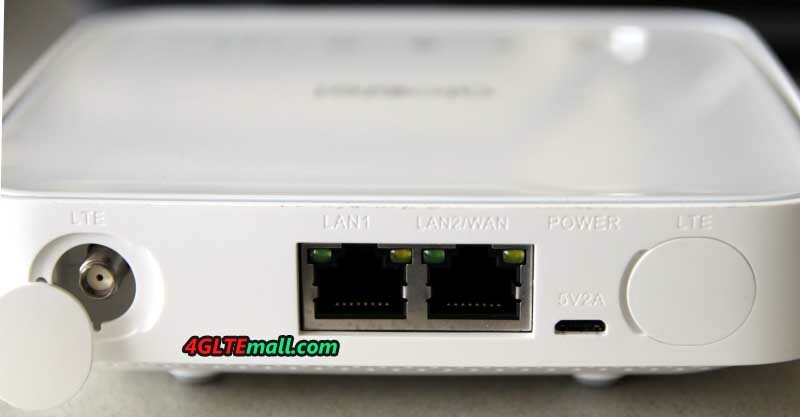 However, there are many LTE-A pro mobile routers with Ethernet port, which could support peak download speed to 1Gigabit/s, such as Netgear Nighthawk M1 or Huawei E5788u-96a. So Alcatel Linkhub HH400 is just decent WiFi router for normal daily use. Alcatel states that up to 32 users can contact the HH40 router simultaneously, but then the bandwidth would (at best) be around 3.1 Mbps. After all, an optimal reception is ensured because the network device uses the multi-antenna technology 2 × 2 MIMO. In addition, external LTE antennas can be connected via the two SMA connectors. In terms of frequency diversity, Alcatel linkhub HH40 could support all the popular LTE frequency bands in Europe, including B1, B3, B7, B8, B20. The unlocked Linkhub HH40 could work with all the network carriers in Europe without any limit. If you want to take the 4G lte broadband router with you on the road, for example, to be able to control the Internet with your laptop while on the move, you will not need much space with this Linkhub HH40 router. The three centimeters thick and the 13 centimeters dimensions ensure high mobility. And the low weight of only 310 grams makes it easy to take in bag or pocket. What Useful are the indicators for connection status and reception. 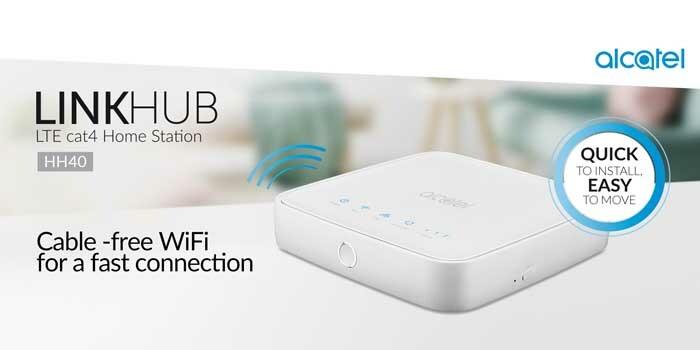 However, unlike other Alcatel 4G mobile WiFi routers, there is no battery pack with the device, the power of the Linkhub HH40 is supplied via a standard micro USB connection. Therefore, if you want to use the Linkhub on the move, you’d better to take a mobile power bank for it. It’s really a negative feature: The manufacturer has not thought of a battery. The Alcatel Linkhub HH40 can be configured not only via a web interface from the computer and mobile phone, but also by means of an app. For these, a smartphone with an operating system from iOS 5.0 or Android 4.2 is required. What has to mention with such a compact LTE router is the RJ45 connection. One RJ45 is for both LAN/WAN and the other is for LAN. A convenient convenience feature is the WPS button, so the annoying entry of the network key is not necessary when connecting a device for the first time. Actually, here now there are many advanced Alcatel LTE Routers supports high-level LTE technologies. If you don’t have great demand for internet speed, Alcatel Linkhub HH40 is good to consider.